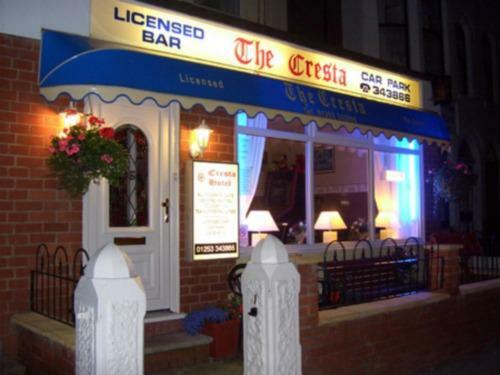 The Cresta guest house is ideal for weekend breaks, seaside holidays and all types of business accommodation. 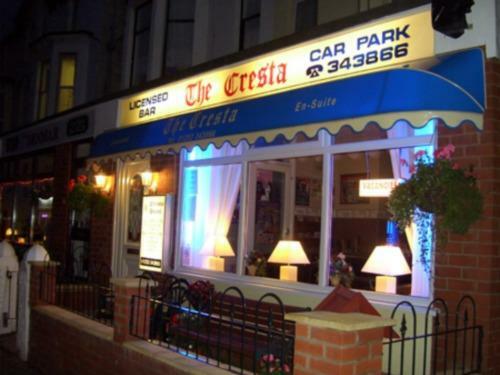 Situated on the south shore of Blackpool, the Cresta is adjacent to the Promenade and close to the Sandcastle Water Park and Pleasure Beach Amusement Park. We have car parking on the premises, but spaces are limited. If you would like to book a space there is a £10.00 charge, and this must be done by phone prior to arrival. 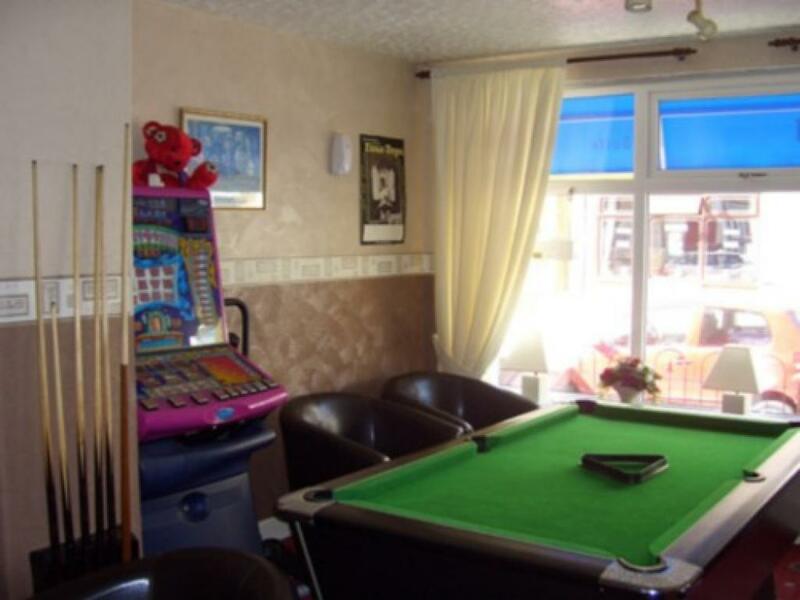 We also have a licenced bar and pool table for guests' entertainment. The Cresta is currently participating in the Blackpool vip locals card promotion which offers discounts for the nightlife and restaurants in Blackpool. Please note we are a family & couples guest house only please do not book groups of adults into family rooms as your booking will be rejected and you will lose your deposit. Drive to the very end of the M55 staying in the right hand lane, go straight across the first 2 roundabouts you come to. Turn right at the next roundabout. Turn left at the next roundabout, then turn left at traffic lights onto Waterloo Road. Turn left at the next set of traffic lights onto Lytham Road. Travel up Lytham Road, bear right at the bottom of the bridge onto Station Terrace, turn right onto Withnell Road, and we are a third of the way down on the left hand side. 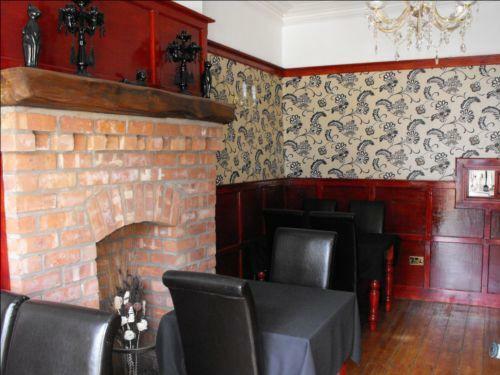 From Blackpool’s south shore train station, head up the step out of the train station onto Waterloo Road; turn left down Waterloo Road then take your first left onto Lytham Road. Walk down Lytham Road until you reach a bridge. Turn left to walk down the side of the bridge onto Station Terrace and it’s your first right onto Withnell Road. We are a third of the way down on the left hand side. From Blackpool airport go straight over the traffic lights, travel down Lytham Road going straight over 2 sets of traffic lights. Go over the bridge and at the bottom of the bridge turn left onto Station Terrace, then right onto Withnell Road and we are a third of the way down on the left hand side.